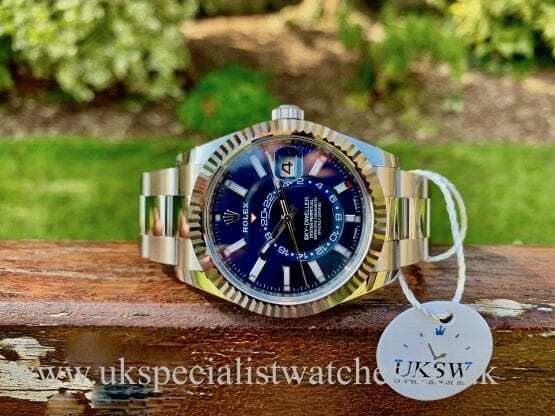 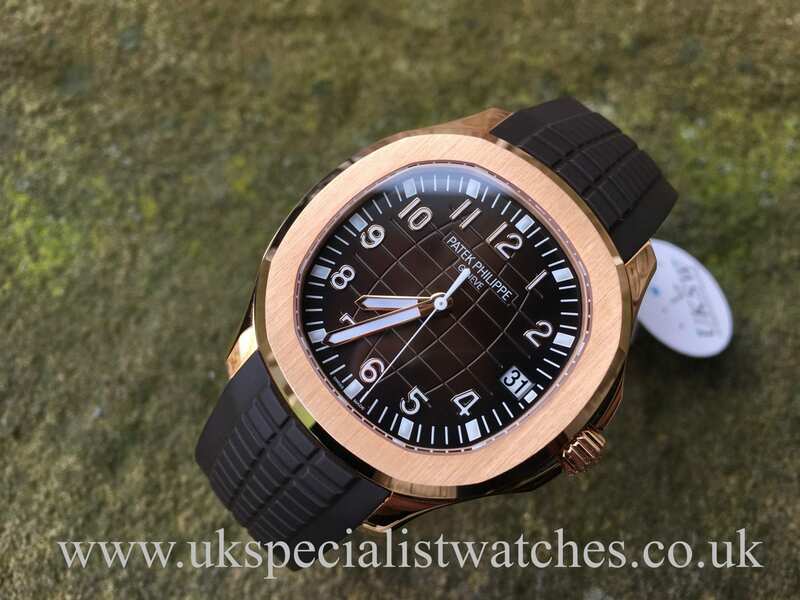 Patek Philippe Aquanaut 5167R-001 with a 40mm 18ct case with beautiful sapphire crystal glass case-back display, exposing the 324 SC Automatic self-winding movement. 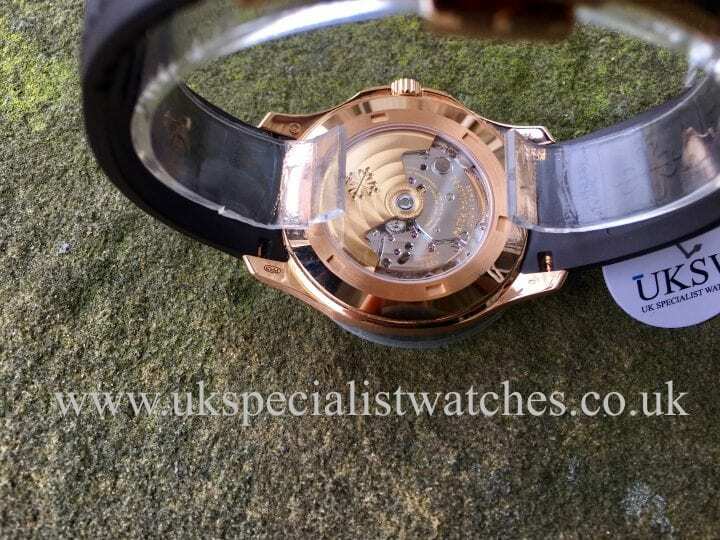 Stunning Tropical tapestry dial with legible Arabic numerals. 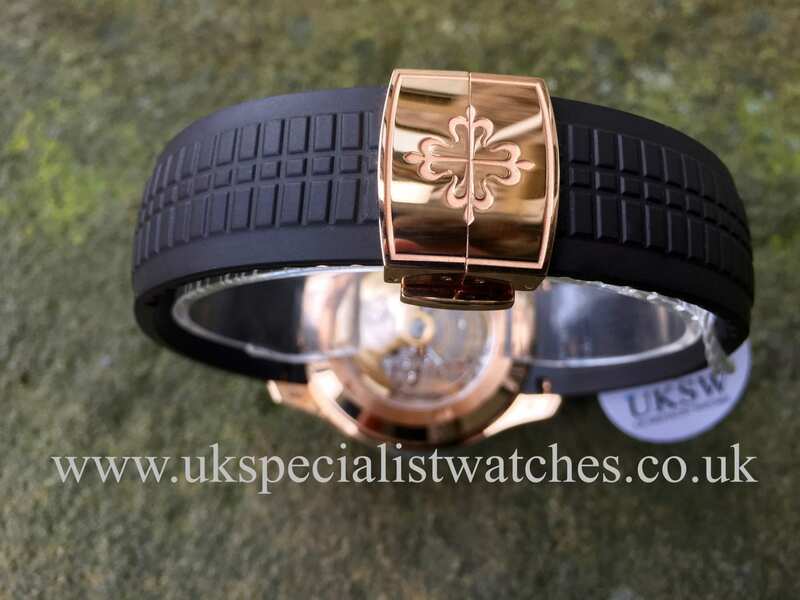 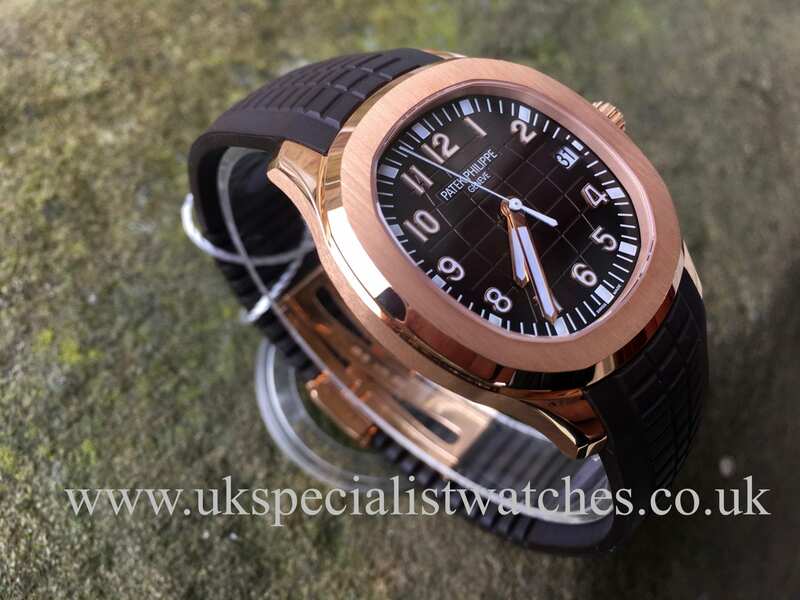 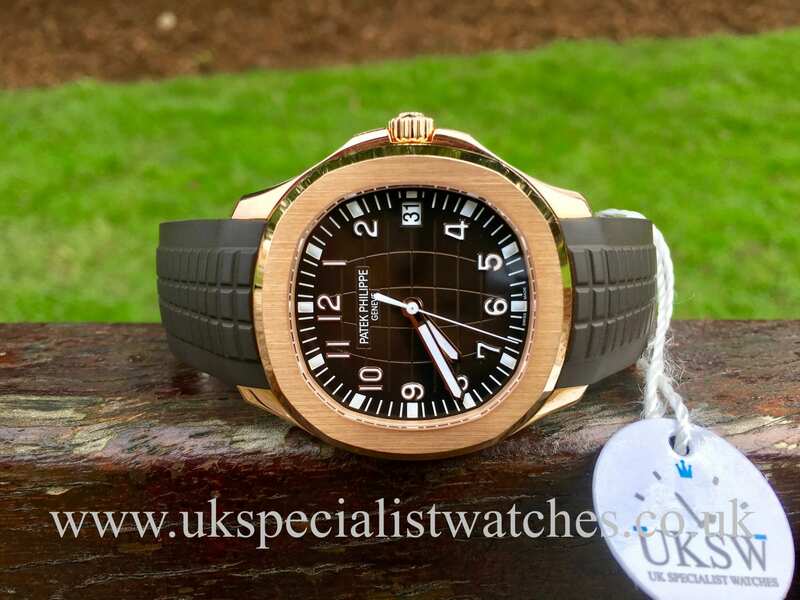 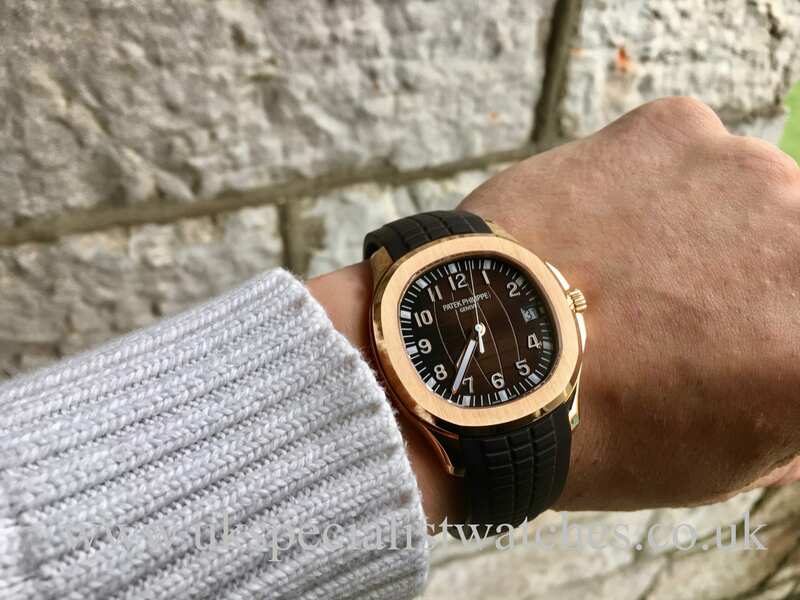 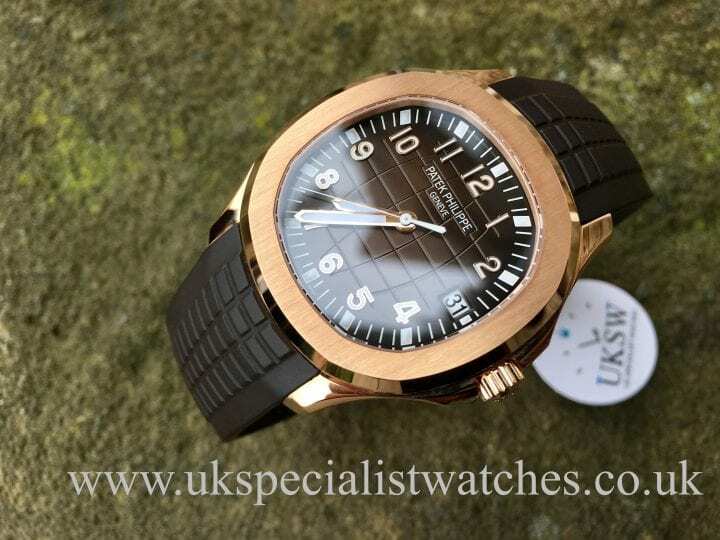 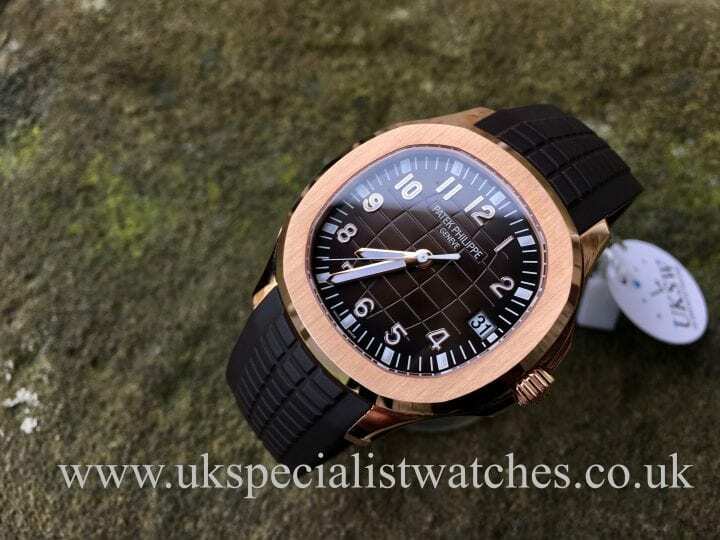 Fitted to a brown tropical rubber strap with the solid 18ct rose gold double folding clasp. 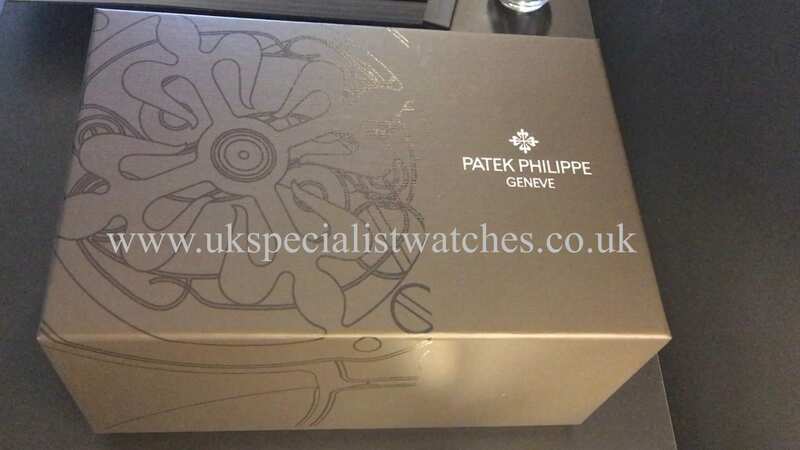 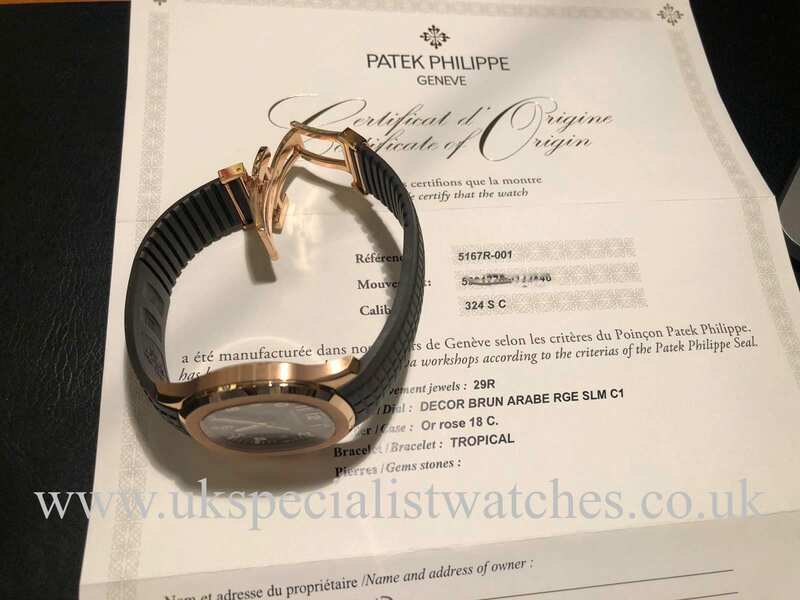 Our stunning example is totally immaculate and comes complete with all boxes, dust covers, stamped Patek Papers, leather wallet and booklets. 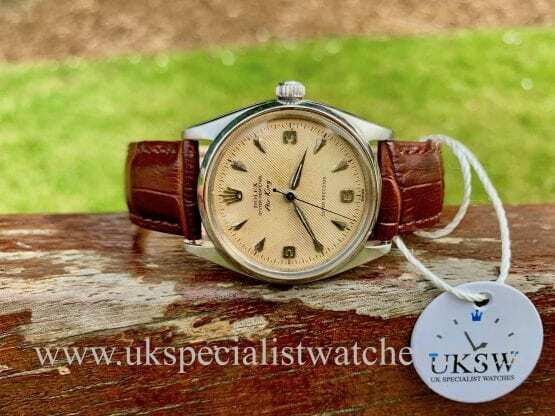 This model is certainly a rare piece with production limited and long waiting lists at Patek dealers!